Home » work » Does Acupuncture Help With Allergies? According to one study, it does... Performed by researchers in China and Korea, they divided 238 patients suffering from allergies into 3 groups: active acupuncture, sham acupuncture, and no treatment. 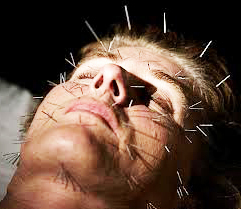 They found that acupuncture, even if it was sham, did help significantly with nasal allergies. However, only active acupuncture helped with not just nasal allergies but also allergy symptoms beyond the nose! Of course, when considering all the other research performed on this subject, the results are a bit more mixed with some reporting no improvement with acupuncture. For those interested in avoiding medications and allergy shots, it may be something to consider trying. It can't hurt and it can potentially even help.